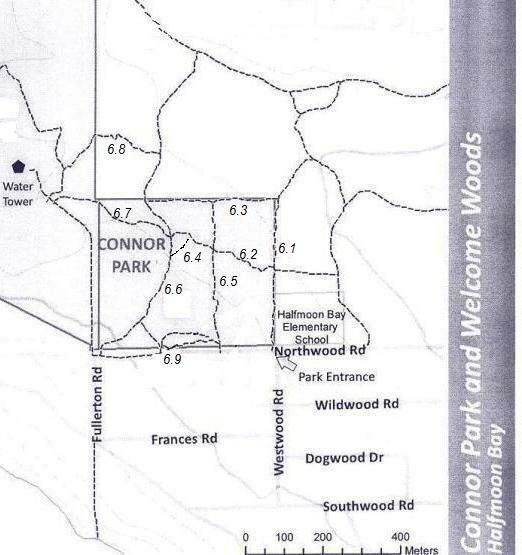 Connor Park is a popular community park with a grass sports field, playground, nice, new washrooms, covered picnic tables, bike skills area and a number of short forest trails that are a mixture of beginner and intermediate levels for mountain bikers. It is the perfect spot to come if you are just learning to ride. Easy hiking in this area with fairly gentle climbs and trails that stay relatively puddle free, even after heavy rains. Click here to return from Connor Park to the Connor Park trail descriptions. 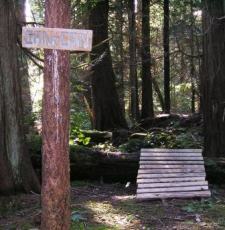 Click here to return from Connor Park to the Sunshine Coast Trails Home page.